According to a recent survey conducted by Consumer Intelligence Research Partners, the Apple Store now holds an 11 percent share of the U.S. retail phone market and also accounts for roughly one quarter of all iPhone sales. While cellular providers' brick-and-mortar and online shops generate the lion's share of cellphone sales in America, Apple and Best Buy are proving to be strong players in the segment, reports AllThingsD. Earlier this year, Apple kicked off an initiative aiming to have customers buy their iPhone from the Apple Store rather than resellers or partner carriers. At the time, CEO Tim Cook said he was shooting for a 50 percent share of sales. The plan may be working, as a CIRP report from July showed Apple's share of iPhone sales at less than 15 percent, a decline from about 20 percent when the iPhone 5 launched in 2012. The research firm's most recent numbers illustrate a strong rebound, with Apple now accounting for 25 percent of iPhone sales and 11 percent of all retail phone sales in the U.S.
Apple's 11 percent comes solely from iPhone sales comprised of the iPhone 4S, iPhone 5c and flagship iPhone 5s. The number is slightly below Best Buy's 13 percent, though the big box retailer carries a wide variety of devices covering the spectrum of operating systems, including Android, Windows Phone and the iPhone. In addition to its vast selection of OEMs, Best Buy also works with the "big three" carriers—Verizon, AT&T and Sprint —and offers a few products from T-Mobile. Apple enjoys a significant presence at Best Buy with its store-within-a-store concept, though rival smartphone maker Samsung has followed suit with its "Samsung Experience" shops. Apple is still the top iPhone purveyor in the country, selling about one quarter of all iPhones in the U.S. Original launch partner AT&T takes second place with 21 percent and the nation's largest network Verizon comes in third with 18 percent. Interestingly, Best Buy accounts for 13 percent of iPhone sales, suggesting the handset is performing well in side-by-side customer comparisons. Apple, of course, does not have devices running Android or other mobile operating systems on display at its retail outlets. 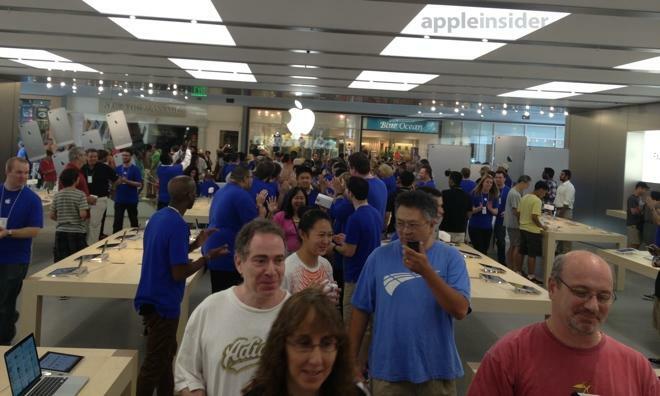 Finally, Sprint, Amazon and other iPhone resellers generate around five percent of sales.